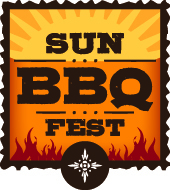 Get fired up for some finger-lickin’ fun during Sun BBQFest. On June 13th & 14th, savor the flavors of the best barbeque around with festivities featuring live music, a beer trailer, barbeque battles, local vendors, food trucks and so much more you can sink your teeth into! Mohegan Sun regrets to announce that due to inclement weather, tonight’s rooftop party on the Riverview Garage and fireworks extravaganza have been cancelled. GLO at the Pool, which includes a performance by Chainsmokers, has also been moved to Vista Lounge at Wombi Rock. There will be no cover charge for this event. WHAT: Enjoy a Hot Summer Fun rooftop party complete with a fireworks extravaganza on Mohegan Sun’s Riverview Garage rooftop on Thursday, July 25th. UNCASVILLE, CT – Bigger. Better. Hotter. Just some of the words people will be saying about Mohegan Sun’s new Hot Summer Fun lineup. Now entering its 16th year, Mohegan Sun decided it was time to spice things up a bit. As part of this year’s revamped Hot Summer Fun celebrations, which kicks off June 23rd and runs through September 1st, there will be bigger fireworks displays, better giveaways and hotter entertainment.